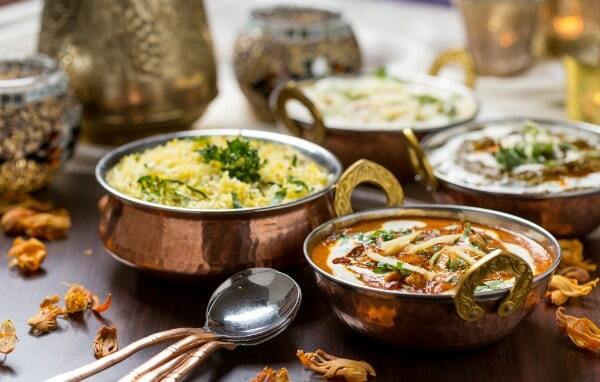 Two magic words: Indian food. WINTER IN DELHI is sometimes affectionately called Dilli ki Sardi (after a very popular Bollywood song). Locals love the cooler temperatures and the excuse to get out the sweaters and indulge in rich, warming foods. Dishes like sarson ka saag, missi roti, masala chai and gajar ka halwa. 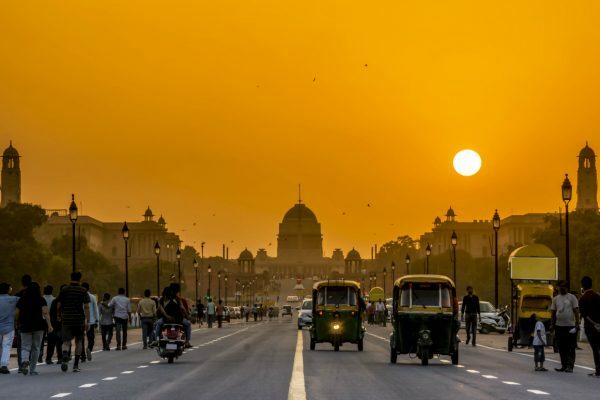 I’ve lived in Delhi on-and-off for 9 years, and spent the past winter in the city, which was recently named “Best Destination For Food/Drink in India” by Lonely Planet India magazine. I concur. Food all over India is great of course, and I especially love dosas in Kerala and Gujarati thali in Ahmedabad. But Delhi has it all, both in quantity and quality. Here are some of my favourite dishes, street food, sweets, restaurants — plus a suggestion for getting all of this yummy food delivered to your door. Butter Chicken. I don’t eat meat so I cannot attest to the awesomeness of Butter Chicken in Delhi, but everyone talks about it, so it must be true. Called Murgh Makhani in Hindi. TIP: When you see Bollywood stars running through fields of yellow flowers, that’s the mustard fields of Punjab. Dal Makhani. There are many types of dal (lentils), but somehow Delhiites seem to prefer Dal Makhani, made from red kidney beans and whole black lentils. You can get Dal Makhani in dhabas, restaurants, homes and fine restaurants. Well, everywhere. At Bukhara, often cited as India’s best restaurant, they make a dish called Dal Bukhara, which is a lot like Dal Makahni, but only with black (urad) lentils. It’s considered by many to be the best dal in the world, and I can tell you, it is melt-in-the-mouth amazing. TIP: Old Delhi’s street food is famously good, and sometimes famously unhygienic (have you see the film Delhi Belly?). 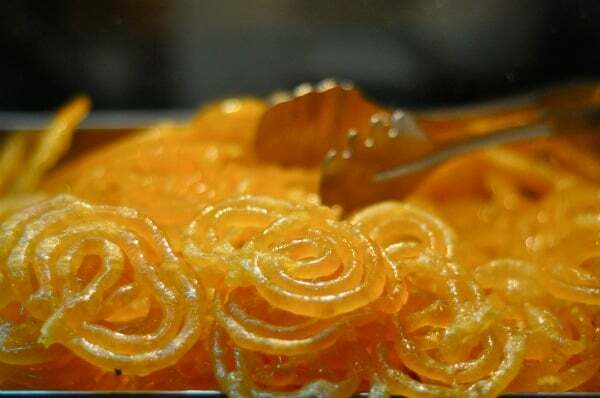 You can get everything in many of the small, traditional restaurants and cafes of Delhi such as these places — which are just as delicious but much more hygienic: Natraj Dahi Wale Bhalla, Nathu Sweets, Anupama Sweets, Moti Mahal, Bengali Sweets, Haldirams, Evergreen. Tandoori Jhinga at Bukhara. Photo courtesy Andrew Dobson. Bukhara. Often called India’s best restaurant. I’ve had the incredible privilege of eating there on several occasions, including the time I stayed at the ITC Maurya Hotel, where Bukhara is located. Most recently I enjoyed a feast with fellow Torontonian Andrew Dobson, which you can read about here. TIP: Do not miss the Dal Bukara and Tandoori Jhinga (Shrimp). Sodabottleopenerwala. 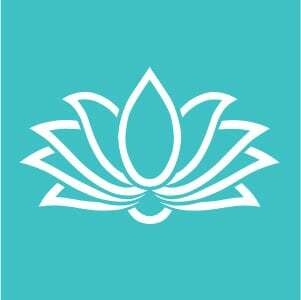 This is the new India — hip, fun, and creatively self-referencing. Located in trendy Khan Market, Sodabottleopenerwala is a post-modern take on Mumbai’s iconic Iranian cafes. Andhra Bhavan. Eating lunch at this busy canteen in the heart of Delhi is an experience in well-ordered chaos. Political leaders jostle with civil servants and tourists to eat very affordable, very spicy traditional food from Andhra Pradesh. An insider favourite. Gulati Restaurant. 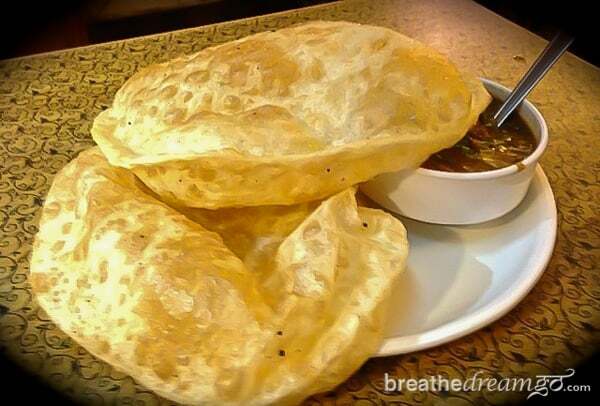 Delhiites love to stop at a Pandara Road eatery on their way home from socializing, and Gulati’s is the top choice. Open since 1959, it is elegant in a non-fussy way, and serves consistently good north Indian cuisine including kebabs, biryanis and tandoori. Potbelly Rooftop Cafe. 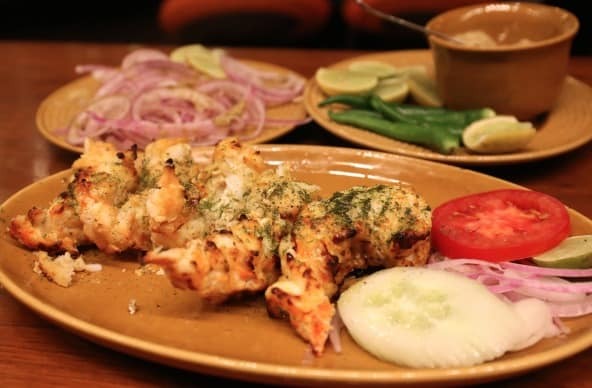 Like Sodabottleopenerwala, this place is a fresh, new concept in India, and is located in the newly trendy Shahpur Jat neighbourood of South Delhi. Not easy to find, but worth it. 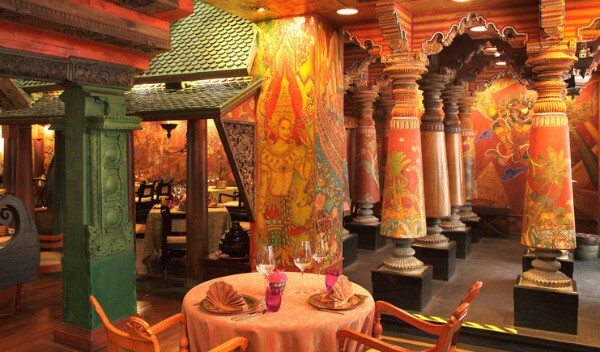 Small rooms with large views and a very good Bihari-inspired cuisine. Affordable, unique and fun. Spice Route. Voted one of the most beautiful restaurants in the world, this Imperial Hotel classic is also one of the most pricey in Delhi. I ate there once, and have never forgotten the food or the experience. Dakshin. 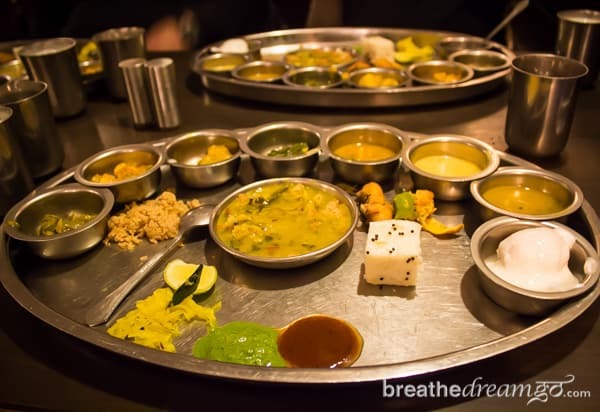 It’s easy to get affordable South Indian food like dosas and idly’s, but just once, you should try gourmet South Indian food. 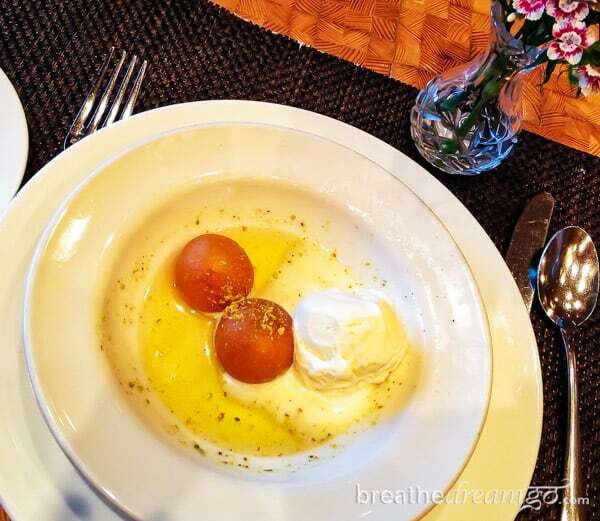 That’s what this beautiful restaurant in the Sheraton New Delhi Hotel serves. 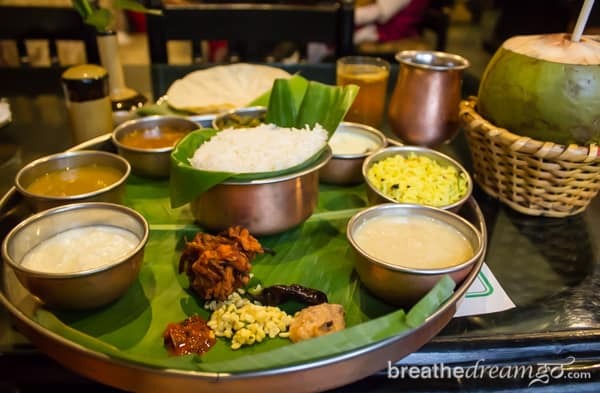 It’s a journey through the cuisine of four South Indian states. Delhi is not only famous for food, it’s also famous for traffic. 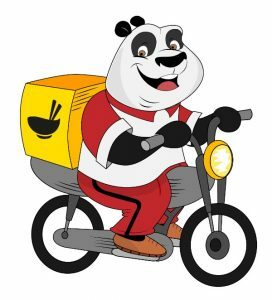 If you don’t feel like going out, Food Panda is a great service in Delhi (and 100 other cities in India) that will deliver food from many of the restaurants in Delhi for no extra charge. You can search the Food Panda website by neighbourhood, or cuisine and you can see the full menu for each restaurant listed, to make ordering easy. I supported a documentary about Indian magicians in Delhi and got a magic ring!